You know what’s not fun? Ordering takeout from your favorite restaurant over the phone — actually planning ahead instead of just showing up — only to wait in line like a schlub once you get there to pick up your order and pay. If you’re anything like me, this has happened enough times that you’ve thought about starting a Facebook support group, or at least made a strongly-worded mental note of it. Well, luckily OrderAhead feels your pain. 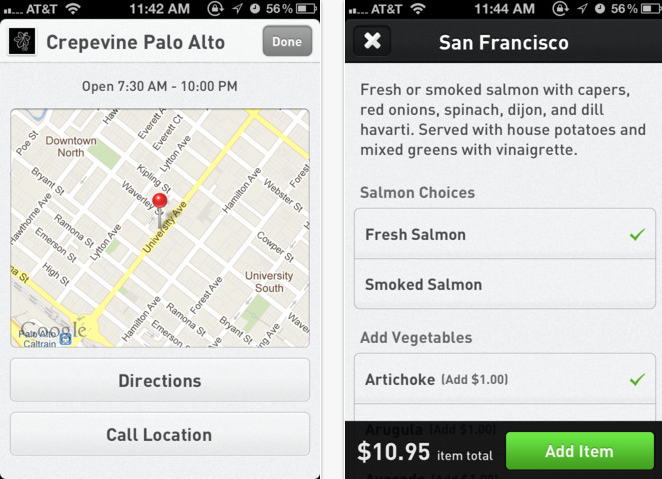 The Y Combinator grad offers a free app (for the iPhone) that allows anyone and everyone to quickly order takeout from local merchants. Connect your credit card, order the food you want to shovel into your mouth at a later point, then pick up the food with your name and phone number — free of charge. At present, OrderAhead’s network focuses on restaurants (mostly of the takeout variety), but in the future, the startup is thinking big: It wants to be the easiest way to order anything from local merchants via your phone. Sound like a pipe dream? Well, OrderAhead has a few investors who would beg to differ. Up until now, the startup has largely flown under the radar, eschewing press for some good, old-fashioned heads-down company-building. But, today, along with officially making its presence known, OrderAhead is officially revealing that it raised $2.3 million in seed funding earlier this year from a bevy of recognizable names, including Facebook Co-founder Adam D’Angelo, Matrix Partners, Menlo Ventures, Ignition Partners, Y Combinator and YC partners (Harj Taggar, Alexis Ohanian, Garry Tan, Paul Bucheit, Geoff Ralston), CrunchFund, SV Angel, Eric Schmidt (via Innovation Endavors) and, last but not least, Bay Area crepe chain, Crepevine. While having these big name investors fill out a hefty seed round is certainly validating for OrderAhead, honestly, what’s almost more impressive is the contribution from Crepevine. Aside from it’s value-add for consumer (one-click ordering), OrderAhead is on a mission to bring value on the merchant side by becoming an Amazon for the brick-and-mortar world. In other words, helping local businesses bring their menu, or inventory, online. Co-founder Jeff Byun tells us that the startup has been, up to this point, going directly after merchants, selling them individually. OrderAhead initially focused on Palo Alto but has since expanded to San Francisco and is now serving 200 merchants overall, with 100 of those restaurants signing on in the last four weeks — just in San Francisco. Amici’s and Crepevine are among those local chains to begin using OrderAhead in recent months and Crepevine’s willingness to join as an investor is an indication that these local, brick-and-mortar stores are not only seeing a benefit to their business in the short-term, but recognize long-term opportunity as well. To be clear, while OrderAhead uses similar language to describe its mission (the Amazon analogy, specifically) to that of Instacart, the startup is for pick-up (or takeout) only, it’s not a delivery service. Byun was also quick to point out that the team classifies OrderAhead as a mobile eCommerce company, not as a mobile payments solution — even though all orders it sends are paid for. Instead, Byun identifies macro trend among tech startups which has seen an increasing interest in choosing a hybrid, B2B2C approach, rather than one or the other, naming Zillow and (increasingly) Groupon as examples. Or on mobile eCommerce front, like Uber and HotelTonight. As to how the startup distinguishes itself? Byun says that OrderAhead is mobile-first and design-focused almost to a fault. The key, he believes, to winning in an increasingly crowded mobile space is with a clean, user-friendly interface that removes all friction from search, discovery, ordering and payments. The co-founder also said that he believes they can keep costs low, margins high and avoid having to build a giant direct sales force by scaling with software — automating wherever possible, be it in sales, onboarding, operations and support. To that point, in order to avoid having to hire a big direct sales force as it expands into new cities (which it will start to do over the next few months), OrderAhead has just released v1 of its self-serve signup platform that onboards merchants remotely and allows any restaurant to sign up for the service in a few minutes. It will be interesting to see how effective this feature becomes — it may find that once it moves past the Bay Area bubble, that it’s compelled to hire more rather than rely on self-serve. Though either way, it provides an approval queue for OrderAhead to focus on the best businesses and provides a more frictionless way to onboard. Right now, OrderAhead is also trying to keep things simple both in terms of its own focus and for that of merchants by focusing on ordering only, not ordering and loyalty and coupons and reviews, etc. Although it recognizes the value of these services for merchants, it’s sticking to the K.I.S.S. principle and can opt to add premium, paid upgrades or bake them in when the time comes. While the majority of restaurants now have some kind of website or web presence, many still lack mobile-optimized sites and many don’t yet include their full menu online. Foursquare jumped significantly in terms of utility when it began to add restaurant menus, but by enabling merchants to add their items and not have to worry about the payments process while still getting the majority of the sale (OrderAhead takes a cut), the startup is already bringing value. Merchants may not like the fact that their business could potentially get lost in the app’s “Merchant Directory,” which will become a bigger problem as more and more jump in, but the startup can avoid that pain point with great search and discovery mechanisms. 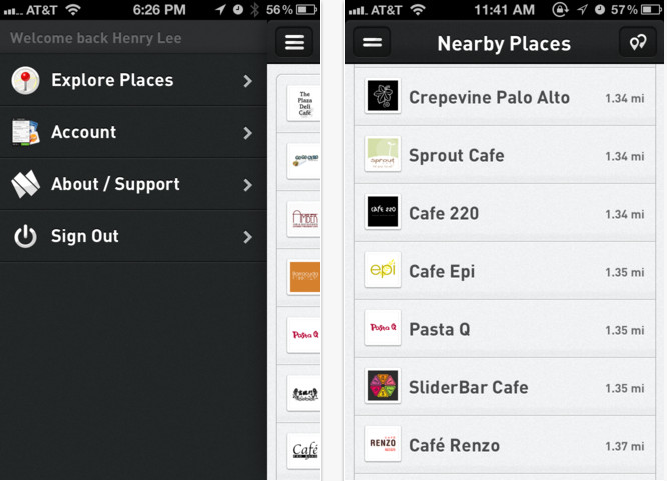 Either way, an aggregated directory of one’s favorite takeout spots and the benefit of digital receipts are going to have some appeal for consumers. It’s just a matter of balancing that with merchant demands, which is easier said than done. OrderAhead is iPhone and web only, but Byun says the team plans to have an Android version of the app ready in the next few months. Find OrderAhead at home here.